We’re glued to our mobile devices. We use them for everything: to find a nearby restaurant, to answer a question, to distract our children, to answer emails, to text with friends, etc. It is also a key device when someone is researching events to attend. In fact, 79 percent of potential attendees use smartphones to look up live event information at the beginning of their research. It’s no wonder that mobile marketing has become so important. It is essential to reach your consumer on the device they use the most. Geofencing is a twist on mobile marketing that enables you to personalize your messages to specific consumers in a geographic area defined by you. When used correctly, geofencing can be one of the most powerful tools in your event marketing toolkit. With geofencing, you create a virtual boundary around a physical, geographic area. When anyone enters this area, an app or another piece of software on their mobile device triggers an action, such as a targeted advertisement on social media or their browser, an alert or text message, or a push notification. Geofencing can also be used to gather location-based user data. However, geofencing isn’t used just for marketing. Some venues use geofencing as part of their security to monitor people entering or leaving an area. Businesses can use the technology to replace time cards. It’s also used to track shipping vehicles. In addition, most drones have some form of geofencing in their programming. If a drone gets too close to an airport or secure building (such as the White House), a drone-resistant geofence will either send an alert to the operator or simply stop the drone’s forward progress. That’s a geofence. Reminders created a small geofence exclusively around your address. When you crossed the boundary, the reminder was triggered. Geofencing technology uses cellular, Wi-Fi, or GPS to identify this virtual boundary. A geofence boundary can be as simple as a circle around a specified location or more complex, such as the shape of a lot or building. Whenever an authorized device enters or exits the area, the geofence will initiate a response. The location services used in your geofencing depend on the geofencing provider. Of the options, cellular and Wi-Fi are generally preferred because they are reliable and friendlier to a user’s battery. GPS-based solutions, while accurate, tend to be power hogs. So, when you are selecting a geofencing solution make sure that it is balanced between accuracy and battery usage. Because, if the accuracy is off, the solution is no good for you, and if it uses too much power, the users will opt out as soon as they notice that their phone’s dying. Which brings up an important note: it is entirely up to the consumers whether they decide to share their location data or not – and they can retract their permission at any time. So, how you ask for their permission is critical. An app will not have access to a user’s location or data without that person’s permission. When the message pops up asking if the user will grant this permission, it’s done in a very matter of fact manner, “Do you want to let X app access your location?” This bluntness can be a little off-putting and frightening to consumers who are already wary of allowing companies access to their personal data. Finally, to earn their acceptance, you need to make sure they understand how the arrangement will benefit them. Also, you need to get to your crowd before your phone has a chance to. After someone installs your app, notify them that you intend to utilize their location, why you need this information, and how it will benefit them. Once you have explained your intentions, then you can send users to their phone’s blunt permissions pop up. Your wording is extremely important. If you choose the wrong phrasing or come across as disingenuous or ambiguous, you will lose this opportunity – and most likely, you will only get the one chance. If you know that a lot of attendees are coming in from out of town, you can use geofencing to send a welcome text or email the second they land at the airport or pass the city’s border. You could also send a greeting as people approach or enter the venue. Geofencing can be used to alert attendees to special occasions in their specific area, such as when a raffle prize is about to be announced or a session they may be interested in is about to occur. It can also be used to encourage networking by alerting compatible attendees when they are near one another. Most importantly, all of this data can be monitored and collected by event organizers. If you have identified companies or brands that you would like to sponsor your upcoming event, you can target their headquarters with a personalized awareness campaign. This type of brand building can be more effective and subtler than non-targeted email campaigns. You could also choose to geofence a company that is likely to send a large group of employees to your event. This helps to make sure that every potentially interested department is aware of the upcoming exposition. Ensuring that the next generation of potential attendees is aware of an event and its benefits is the goal of every event planner. Yet reaching this crowd is increasingly difficult. 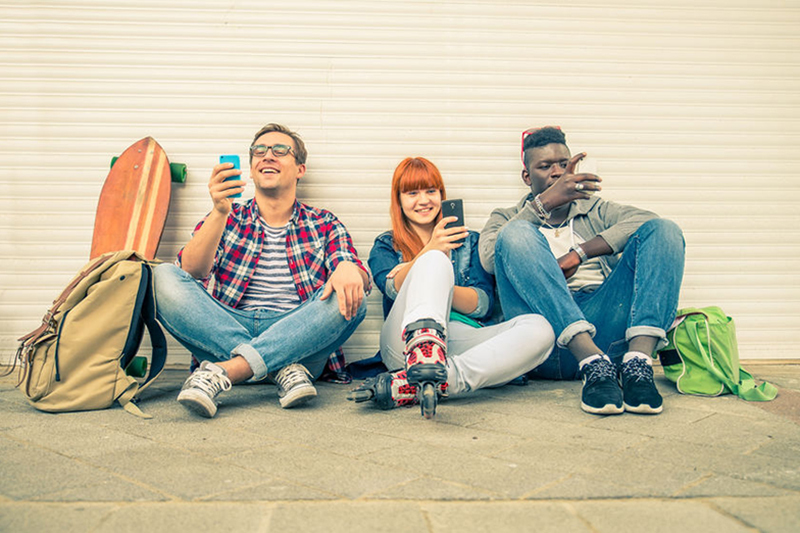 According to a recent study, millennials are most likely (44 percent more likely than preceding generations) to permanently disengage from a brand or group if they receive high volumes of generic email communications. This trend will likely continue to the following generation. An alternative is to geofence universities and campuses. Get your message directly to your targeted audience through the communication channel they prefer. There are several events throughout the year that share some DNA (and potential attendees) with your expo. What better place to advertise your event than to a room full of your exact target market? Yet, it’s not likely that the event’s organizers will allow a potential competitor the space to advertise. That’s why geofencing is so effective. By targeting the like-minded event’s venue (and nearby hotels, as well), you can run an awareness campaign to this already engaged audience. If any additional information about geofencing and how it can benefit your event marketing, give Event Architecture a call at 972-323-9433.